Let's get ready to roll! At the ideal height for little travelers, this children's rolling luggage is the perfect companion on any trip. 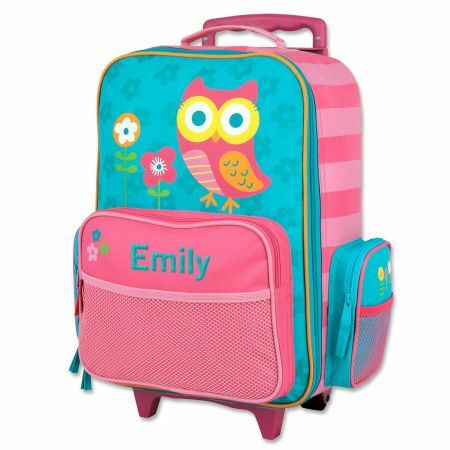 It has multiple pockets to keep your child's most-prized toys safe, as well as an extendable handle for easier navigating. The bag is approximately 14.5” x 18” and is great for personalization.